Keep an eye out for our new DiG Foundation tournament flags at upcoming events! 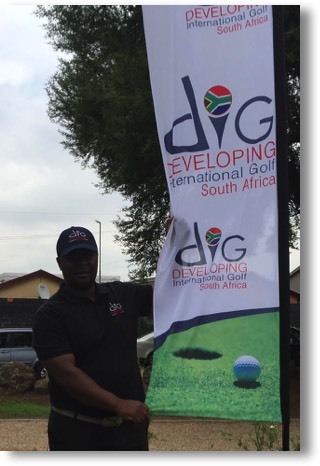 The DiG flags flew high in good company at the golf course!!! 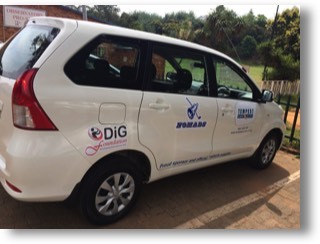 28 October, 2017 Soweto Cup Sponsors helped the DiG Foundation! 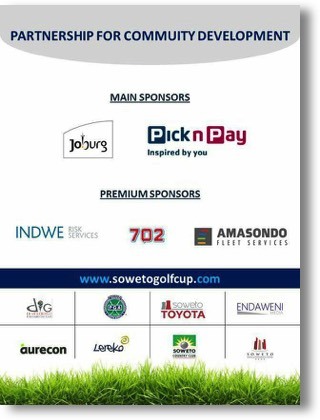 Thank you so much for all the sponsor's support at the SowetoCup!!! 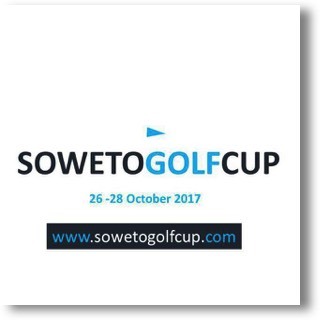 28 October, 2017 Soweto Cup Benefits the DiG Foundation! 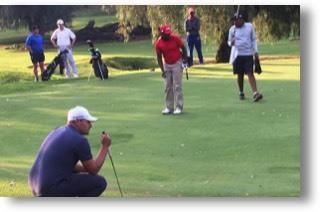 Benefit tournament held at the Soweto Golf Club! 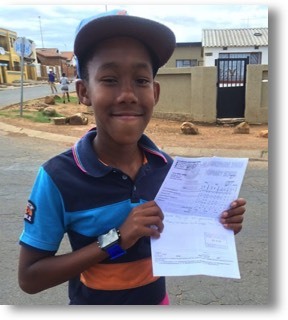 17 October, 2016: Delano Kotze wins Reading Challenge! 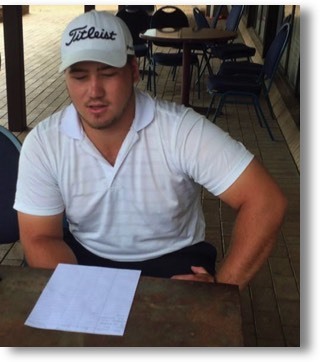 Congradulations Delano Kotze for winning the DiG Tour's Reading Challenge, sanctioned by the Sunshine Tour! 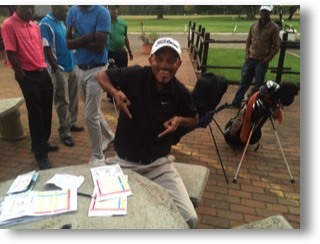 19 September, 2016: Thabang Simon wins Leeuwkop Open! 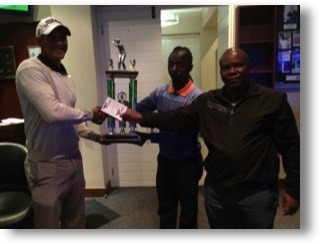 Congradulations Thabang Simon for winning the DiG Tour's Observatory Open, sanctioned by the Sunshine Tour! Simon wins back to back DiG Tour events! 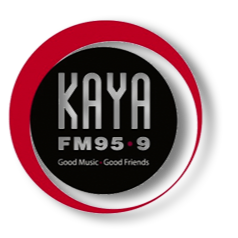 MAYA FM visits the DiG Tour and interviews Thabang Simon and Songz. Click logo to read and hear their review of how the DiG Tour is making a difference! 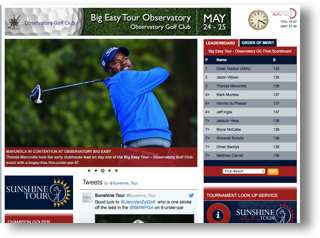 Congradulations Dayne Moore for winning the DiG Tour's Observatory Challenge, sanctioned by the Sunshine Tour! Dayne forced a playoff with a score of -3, and won. 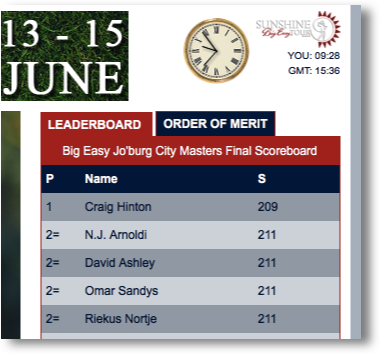 13-15 June, 2016: Omar Sandys has success at the Big Easy Jo'Burg City Masters at Glendower Golf Club! 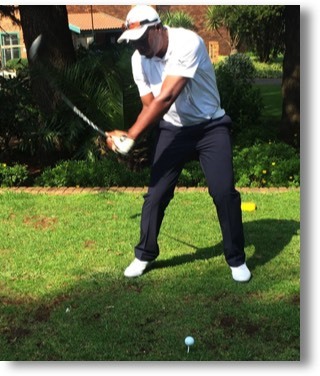 Congratulations to Omar Sandys, (one of our DiG Tour players,) on great results in the BiG Easy Jo'Burg Masters tournament at Glendower Golf Club. Omar finished tied for 2nd and is now 5th on the Order of Merit for 2016. 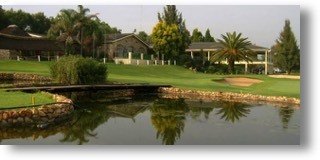 Glendower Golf Club is home of the SA Open Championship and rated in the top 20 golf courses in South Africa. 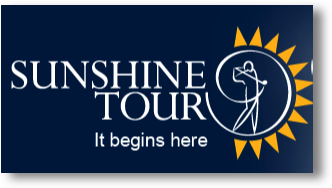 The Sunshine Tour (Southern Africa PGA Tour NPC) signs agreement with DiG Foundation to support each DiG Tour development tournament for the 2016 season. The DiG Tour gives underserved golfers, with advanced golf talents, the opportunity to experience the pressure and competition of professional golf tournaments. This creates a path to compete in the Sunshine Big Easy Tour and hopefully make it to the Sunshine Tour. 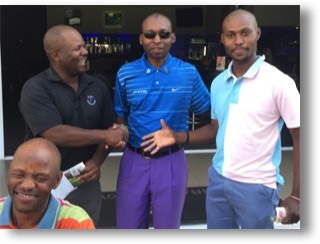 25 May, 2016: Thandla Mavundla with a great showing at The Big Easy Tournament! 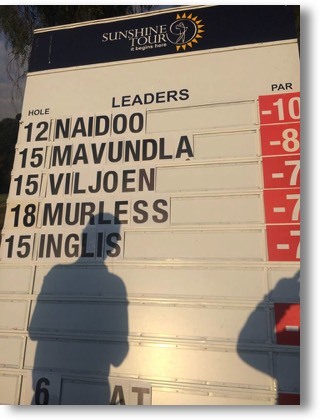 Thandla Mavundla leads in day one, and finishes a fantastic 3rd from a field of 111 pro golfers at the Big Easy Sunshine Tour. Thandla is a DiG Tour player and member of the DiG Foundation. Great job Thandla!!!! A screen shot from day 1 with our leader! Thandla Mavundla showing a great performance on day 2. It’s also exciting and fun to finish as “Runner-Up” as Omar Sandys celebrates a great tournament! 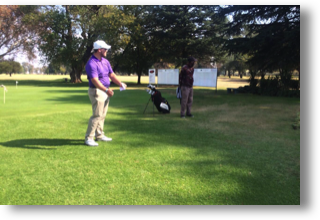 Amateur Division winner this month is Delano Kotze! He also finish 3rd overall. Now that’s a future success in the making! Great job Delano! 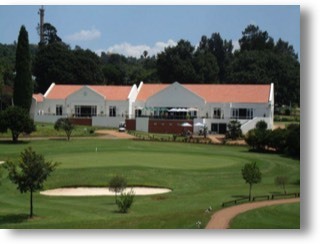 Royal Oak is one of the best known and loved golf and country clubs in South Africa. 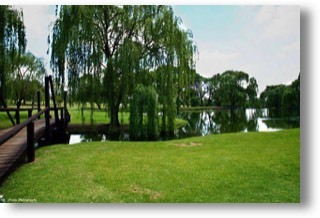 They are currently celebrating our first century anniversary as most favored golf and gathering spot in Brakpan, Gauteng. 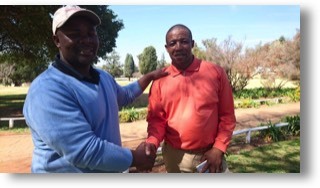 Thanks to Sifiso Kunene (left) for sponsoring this month’s DiG Tour! It is people like you who make this all possible! DiG Foundation President, Songz Sonamzi (right) is blessed with the support from our sponsors who support The DiG Tour and help us grow and improve results of our competitors! 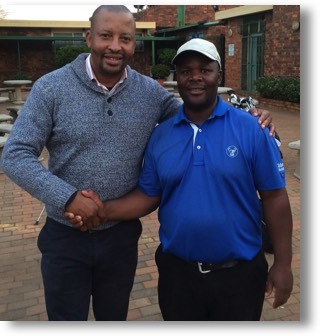 Congradulations Thabang Simon for winning the first 2016 D.I.G tour with the score of -4. He started shakingly playing against the big hitter Dayne Moor, but fired a -3 under back nine. Well done player. 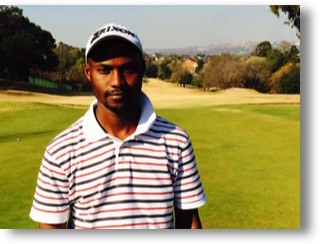 Welcome Thabo Mokone to our coaching staff! Thabo Mokone has joined the DiG coaching staff this year! 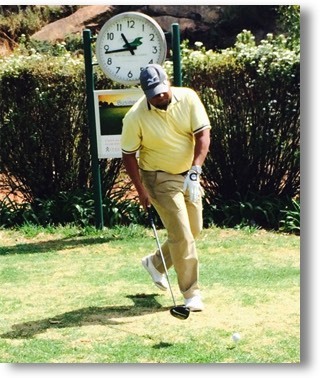 Thabo is working toward his graduation as a PGA Professional as well. One of the qualifications for advancement in our DiG CAP Program, is good grades in school. DiGerz in our DiG Club work hard on improving their golf skills, leadership skills, and life-skills at home and school. Congratulations on your good grades in school! So proud of your hard work!!! Congratulations to one of our DiG Coaches, Lincoln for winning with a blazing -5. 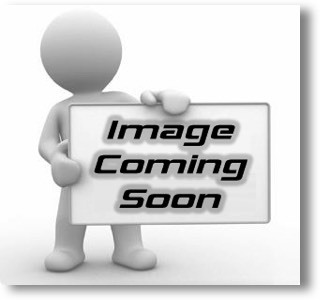 And 2nd place was another one of our coaches…. Songz! Hey Lincon, be careful beating the boss! But seriously, today’s results show that our instructors really do know what they are doing! Our students are in good hands! Congratulations for Teddy (pictured in center) after he wins with a -1 in a competitive tournament on a good course. Thanks to Ken Walker with The Nomads for putting together a combination of support from Tempest Car Hire, SNAG, and of course, The Nomads! 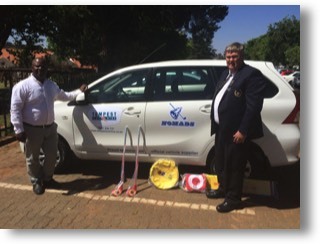 This van is essential for picking up and delivering our youth from Soweto to the golf course or The Johannesburg Children’s Home orphanage. Congratulations to Garth for winning one of our early DiG Tour events this season!